Amazon wants Alexa to be even more involved in users’ lives. 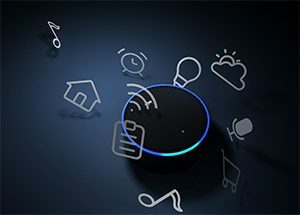 The digital assistant already goes beyond providing online services, but the latest upgrades make Alexa-driven smart devices able to help users do everything from cooking with an AmazonBasics microwave to remembering to lock up the house. Develop a personality, complete with a favorite pet or beer. Learn to understand whispers and respond in an equally hushed tone. Alexa Guard, a feature that connects with Echo speakers and Amazon-owned smart doorbell maker, Ring. Alexa’s integration with other smart home devices and appliances.